A common question that we get from volunteers is, 'What will I be eating while I'm in Ecuador?" We have delivered and put together a helpful list of common meals that you will be eating while in country! This will be a staple meal for lunch. There will be lots of food to choose from and a good variety if you're a picky eater! 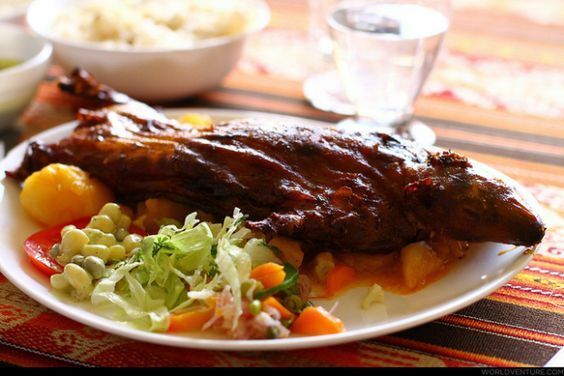 Cuy is an Ecuador delicacy and is served at many nicer restaurants. One cuy can be about $20! Don't be afraid, it tastes like chicken! 3. Chocolate bread and other pastries. There are a couple of bakeries down the street from the volunteer home. Most breads are around a quarter and just heaven on earth. We recommend the chocolate bread! There will always be a variety of fruit in the kitchen for the volunteers to eat. Several of the staples include bananas, star fruit, mangoes, melon, papaya and many others! I wish we could make you fully understand the magic that is chatos. Chatos is a local food stand in Cuenca that sells dessert kebabs. They pile on fruit, marshmallows, brownies and coat the whole thing in chocolates. Chatos is the #1 thing talked about by the volunteers. Don't hesitate, just buy 10 your first day. Tutto Freddos is a volunteer favorite! 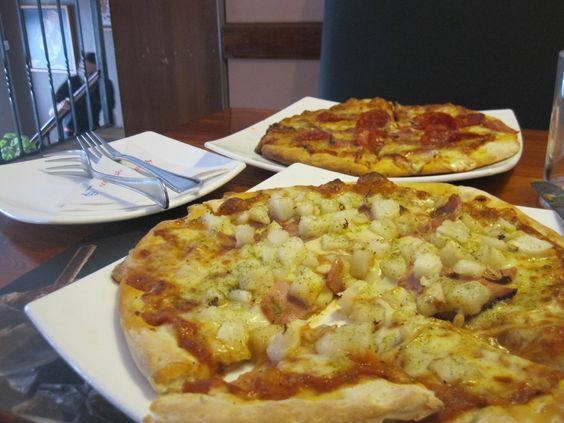 Tutto Freddos is a very nice pizza restaurant in downtown Cuenca. We recommend getting Fiora Vanti (soda) to wash it down!